Competition and fair trading in the agriculture sector is a priority for the ACCC. We've compiled information and resources on competition and business issues that are relevant to the sector. The Agriculture Unit was established to examine competition and unfair trading issues in agricultural supply chains with a view to improving enforcement and compliance with the Competition and Consumer Act 2010 (the Act) across the agriculture sector. Identify key agricultural supply chain issues across the agricultural sector for enforcement focus, investigation and prosecution. Increase awareness about codes of conduct, collective bargaining and the ACCC’s consultation processes. Conduct specific market studies to enhance our understanding of the competitiveness of agricultural supply chains and how this impacts on farm gate outcomes in general. A summary of the work undertaken by the Unit in its first year is available in ACCC Agriculture Unit - A year in review. You can make an anonymous report using this form. Note: You will be asked to create a password so you can log back in and communicate with ACCC staff. We often need to ask you further questions. You may remain anonymous when providing further information. You can also make a report or enquiry by contacting the ACCC directly. Our ACCC Commissioner with specific expertise in agriculture, Mick Keogh, works with the Agriculture Unit and assists the ACCC’s activities to encourage fair trading and strengthen competition across agricultural supply chains. On 26 September 2018, the ACCC announced the wine grape industry will be the focus of a market study. The study will examine competition, contracting practices, transparency, and risk allocation issues in the wine grape supply chain. 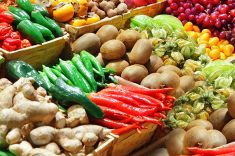 In April 2017, the Australian Government launched the revised nation-wide Horticulture Code of Conduct, which sets out mandatory requirements for traders and agents operating in Australian fresh fruit and vegetable markets. In 2016, the ACCC held a series of regional workshops to speak with people in the horticulture and viticulture industries about the competition and fair-trading issues that affect them and to gain a better understanding of the issues present in supply chains. An account of the competition and fair trading issues raised during the workshops and the ACCC’s response to these issues is available in Perspectives in horticulture and viticulture. We send out newsletters to update subscribers of upcoming events, workshops, market studies, and other relevant opportunities to engage with the ACCC. Several areas of the ACCC’s work have direct impact on agricultural businesses. There are certain business practices that harm competition and are against the law. 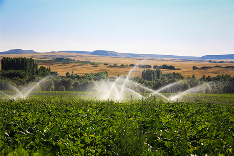 It is important that businesses involved in agricultural supply chains understand their rights and obligations when dealing with wholesalers, suppliers and other businesses. Agricultural businesses, including farms, have rights and protections under the law. If, for example, a good or service purchased by your business does not do what it is supposed to do, or you have entered into a contract containing unfair terms, the ACCC wants to hear from you. The ACCC has for many years authorised small business collective bargaining arrangements - allowing groups of small businesses/farms to negotiate with larger businesses. Some examples include groups of chicken growers, dairy farmers and vegetable growers. We aim to offer a simple process for parties seeking authorisation of collective bargaining arrangements. The ACCC regulates mandatory and voluntary industry codes including the Horticulture Code, the Wheat Port Code and the Food and Grocery Code. 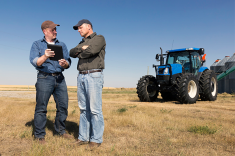 We can provide guidance to agricultural industries looking to develop their own voluntary code. Voluntary codes set out specific standards of conduct for an industry and can reduce regulatory burden. Mergers and acquisitions that would have the effect, or be likely to have the effect, of substantially lessening competition in a market are against the law. When the ACCC conducts a public merger review, we seek comments from interested parties, which can be done confidentially. The ACCC’s role is to provide effective regulation where a market is not functioning competitively. This includes regulation of certain monopoly industries and monitoring other markets where competition is limited. We have, for example, specific functions in relation to water and the conduct of bulk wheat port terminal operators. The ACCC established an Agriculture Consultative Committee in 2016. 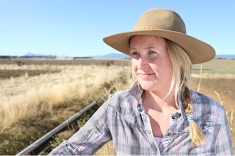 The Committee helps inform the Unit and the broader ACCC on issues affecting the agriculture sector that fall within the scope of the Competition and Consumer Act 2010.
learn about rights and responsibilities under the Act and how to engage effectively with the ACCC. Australian agribusiness law: sensible regulation, or red tape gone mad? You can contact us at Agricultural Unit or through our Infocentre. 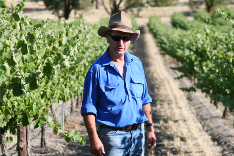 The wine grape industry will be the focus of a new ACCC market study. The study will examine competition, contracting practices, transparency, and risk allocation issues in the wine grape supply chain. The cattle and beef industry has not acted on most of the recommendations made by the ACCC in 2017 to improve the transparency and efficiency of Australian cattle markets, according to a review released today by the ACCC. The ACCC has released the final report arising from its dairy inquiry, which includes our key recommendation that a mandatory code of conduct be implemented to improve contracting practices between dairy processors and farmers. 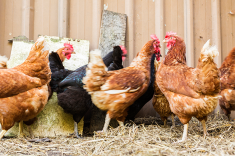 The ACCC has today released guidance for egg producers on its approach to enforcing the new National Information Standard on free range eggs, which comes into effect on 26 April 2018. A mandatory code of conduct should be considered for the Australian dairy industry to address problems caused by bargaining power imbalances between processors and farmers, according to recommendations made by the ACCC in its interim report from its inquiry into the industry. The ACCC has instituted proceedings in the Federal Court against Australia's largest milk processor, Murray Goulburn Cooperative Co. Limited (Murray Goulburn), alleging it engaged in unconscionable conduct and made false or misleading representations in contravention of the Australian Consumer Law. The Australian Competition and Consumer Commission has authorised members of the Canegrowers Organisation to collectively bargain cane supply and related contracts with mill owners and sugar marketers for ten years. Changes are needed to improve transparency and competitiveness in Australia’s cattle and beef markets, with an ACCC study highlighting shortcomings in price reporting, a lack of trust in the carcase grading system, and concerns about anti-competitive conduct affecting competition in cattle and beef sales. The competitiveness of Australian beef and cattle markets could be improved by the adoption of objective carcase grading, improvements to the nature and coverage of market reporting, and the implementation of a range of measures to lessen the risk of collusive and anti-competitive behaviour in saleyard auctions. The Australian Competition and Consumer Commission report into the competition and fair trading issues facing the horticulture and viticulture industries has identified a number of areas of concern, particularly about the Horticulture Code of Conduct.